Growing data availability is enhancing actuarial opportunity for property-casualty insurance — especially for actuaries eager to experiment with various predictive models. 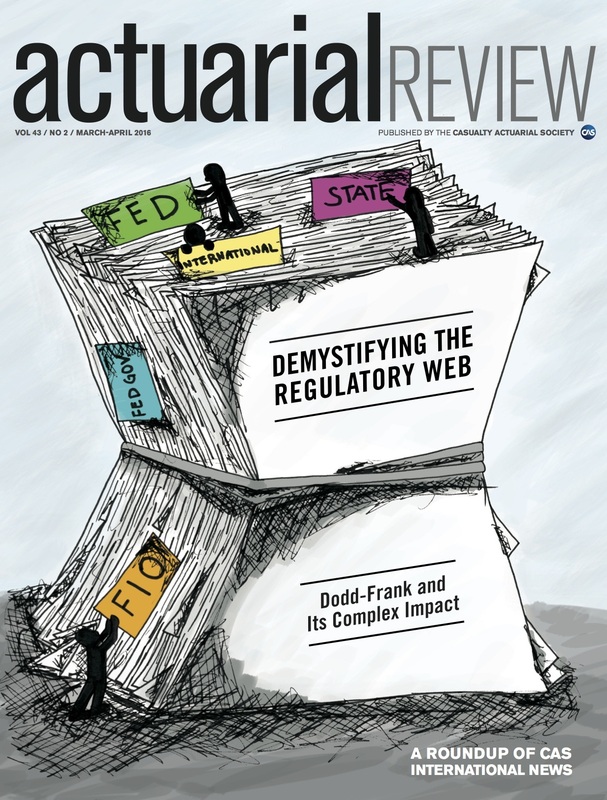 My Actuarial Review article, The Quest for Big Data, explains how data is presenting greater potential and challenges for actuaries. To find data gold, they must shift through available data — whether is buried in text or from the growing number of external sources catering to the insurance industry. Actuaries have a seemingly insatiable appetite for data. While more data is available than ever in some areas, information voids remain. 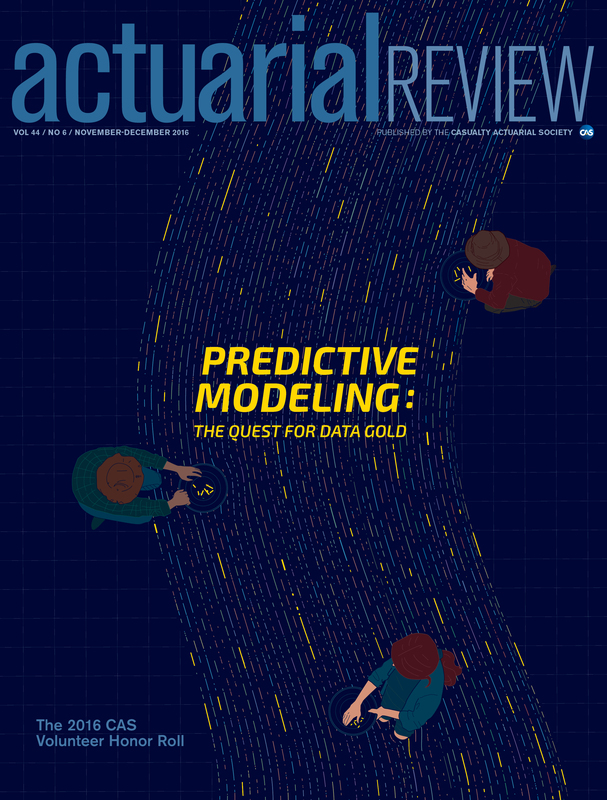 This article is part 1 of a series I am writing on the latest in predictive modeling for Actuarial Review. growing data potential, including digital breadcrumbs and the Internet of Things. Part II of the series will cover innovations in models. Part III will explore barriers to predictive modeling innovation, the upcoming disruption in the insurance company business model and more! Do you agree that growing data availability is enhancing actuarial opportunity in property-casualty insurance? Please share your comments below. Thanks! Many changes have taken place since the Great Recession, forever altering the personal auto pricing cycle. My latest Actuarial Review article, which is already attracting positive feedback, takes an in-depth look into what has affected personal auto insurance premiums since 2008. The relationship between frequency and employment. The curious sudden accident uptick in frequency by miles driven in the 4th quarter of 2014. The gradual increase in costs per claim (severity). A marked increase in driver distractions not just from cell phones but infotainment systems. A growth of driving while under the influence of marijuana and accident increase in states where use is legal. Auto manufacturers’ safety features reducing the frequency and severity of accidents. Big data and predictive modeling transitioning from a unique pricing strategy to a common insurance business practice. I am unaware of any other article that comprehensively looks into the auto insurance pricing cycle since the Great Recession. I would also like to thank James Lynch from the Insurance Information Institute for his assistance. I hope you enjoy it! What do you think has most affected the auto insurance pricing cycle? on the bottom right hand side of this post. Legionella Under the Microscope. U.S. Centers for Disease Control (CDC).Public Domain. puzzled and worried. In 2014, it was Ebola. This year, it is the Zika Virus. There are also potentially fatal illnesses that are preventable and yet, the Centers for Disease Control and Prevention is seeing cases on the rise. One such example is Legionnaires Disease. My article, Insurance Implications of Legionnaires Disease, published by the AmWins Group’s The Edge, provides an update on illnesses related to legionella bacteria, along with prevention tips, symptoms and the liability concerns. I hope you find it helpful. The days of actuaries and underwriters applying their crafts through separate roles and responsibilities are on the way out, as my recent Actuarial Review article, Pricing Adjustment, explains. To be successful in the future, actuaries need to spend more time learning to appreciate the demands underwriters face. Underwriters also need to embrace predictive modeling to appreciate its potential for pricing and marketing, experts say. Surveys show too that insurers are frustrated when their actuaries and underwriters hold to their traditional roles and work against each other. Liberty’s national insurance specialty section integrates underwriters and actuaries into functional teams. The results so far have been positive, placing the insurer in a better position to address underwriting challenges while encouraging communication and understanding. Underwriting is not the only area where actuaries should become more familiar. Past articles I have written also explain how actuaries and statisticians can complement each other and why actuaries and information technology professionals need each other. The bottom line is the actuarial role is a-changin’. Successful actuaries will embrace new ways to work with other professions to deliver better results. Digital media experts offer lots of advice on how to successfully market online, but rarely do they emphasize the importance of avoiding copyright infringement. That’s a shame because website owners who are caught re-using blogs from other sites or publishing photos without appropriate permission and attribution can suffer legal and financial consequences. And thanks to special software that finds reproduced images, it’s also easier to get caught. As I cover in my Leader’s Edge article, Making a Lasting Impression, the Council of Insurance Agents and Brokers (CIAB), which publishes the magazine, was reminded of this the hard way. Stressed for time, an employee published a photo without getting permission, which goes against the CIAB’s policy. As a result, the photographer’s lawyer contacted the organization and offered a settlement fee much higher than the original cost of purchasing permission. CIAB enlisted an attorney to reduce the fee and settle the matter. Imitation (or duplication) may be the sincerest form of flattery, but if it is not done legally, the compliment can be costly. Kudos to CIAB President and CEO Ken Crerar, who wanted the story told to prevent the same thing from happening to others. I wrote the article to be helpful to readers, so it also offers tips on how to secure permission with or without licensing fees. The important point to remember is that posting a photo online is a form of publishing and the same laws apply as with print publishing. Anyone publishing online needs to take care that they do not copy someone else’s work without obtaining permission. Since there are creators who make the effort to find copyright infringers and sue them, it’s worth combing through all publications and web publishing to avoid copyright infringement. Not long after I submitted my Actuarial Review article about driverless cars, “60 Minutes” presented a segment, “Hands off the Wheel” on the same subject. Since I had intensely researched the topic, I could not wait to hear what the reporter would tell the general public. Instead of investigative journalism, the segment gave the driverless car industry a boost with little mention of the many unresolved issues and potential unintended consequences. At its beginning, the reporter said “almost all” car accidents are caused by driver error, noting the safety potential of driverless cars. The truth is, nobody really knows how safe driverless cars will be. The often-quoted statistic by driverless car advocates is that 93 percent of car accidents are caused by human error. The logic is that by reducing the opportunities for driver mistakes, automated vehicles will be safer. The statistic and its assumptions, which were also presented as testimony before the U.S. Congress, are very important because they guide the assumptions and expectations of driverless cars. Google also boasts that all of the accidents involving its cars were due to human error. But when the rubber hits the road, it’s the insurance industry’s opinion that counts. Its actuaries not only have the most experience looking at the factors that lead to accidents, but the industry will be responsible for covering them. 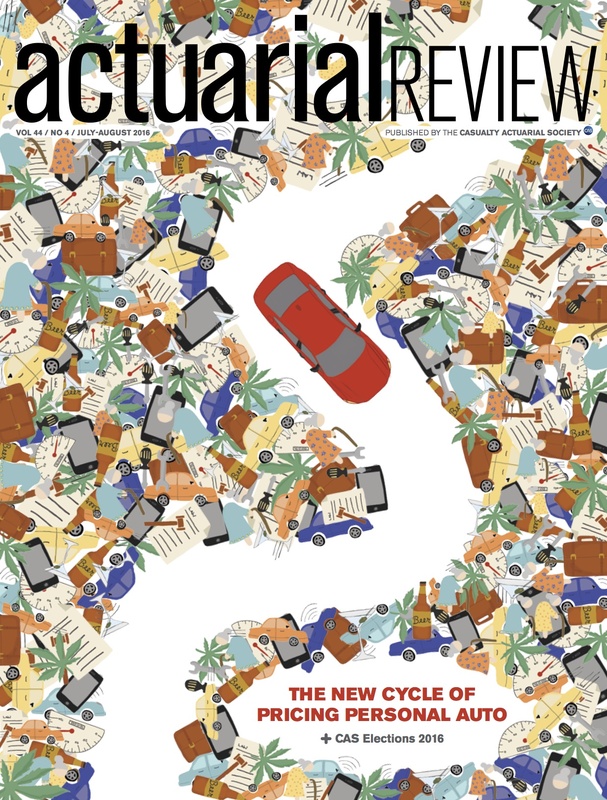 My article, Destination Driverless: Will Vehicles – Not Drivers – Become the Center of Risk?, sets the record straight about the all-important 93 percent statistic thanks to actuarial analysis provided by the Casualty Actuarial Society’s Automated Vehicles Task Force. The task force concluded that automated technology could only address 78, not 93 percent of accidents if it cannot overcome factors such as weather, vehicle errors and inoperable traffic control devices. Using the 93 percent statistic, the task force also asserts, is problematic for other reasons. Stemming from a National Highway Transportation Safety Administration (NHTSA) study, the statistic had nothing to do with driverless cars. And, due to its age, the study could not anticipate the latest safety improvements to conventional vehicles. So what do actuaries need to have a better idea of the potential costs of insuring driverless vehicles? Access to proprietary data that developers and manufacturers naturally are not quick to share. My article also details other factors that should be considered – especially when human drivers must take the wheel of automatic vehicles. It also covers the challenges that developers must overcome to make them viable in the real world. What does this mean to the average consumer? Driverless car excitement abounds, but nobody sees significant population of driverless cars for another 20 years. In the meantime, drivers can expect automated vehicles to gradually join the traffic jam. That transition, in and of itself, could also lead to unintended consequences. Today I published an article about how to shop for automobile insurance. I have to confess I thought I knew a lot about it already. But after speaking with three national experts, I learned how much I did not know. You really owe it to yourself to check out my article, How to Confidently Shop for Auto Insurance. If I learned something after spending 25 years writing about insurance, chances are you will as well. Share this article with all your friends. They’ll thank you for it. Please don’t forget to let me know in the comments section below how much the article helps you. Price optimization in automobile insurance has been getting a lot of attention lately, especially since it is controversial. Some consumer advocates say price optimization can be unfair to auto insurance customers. Insurers, however, believe using all the data possible for pricing premiums is good business. Determining how insurers can acceptably develop rates – the basis of premiums — ultimately falls on state insurance commissioners. Before they can decide on if or how to regulate price optimization, they need a reliable definition. As I cover in my recent Actuarial Review article, Descending Confusion, some state insurance departments have already begun limiting price optimization using definitions that could disqualify decades-long actuarial practices. Most commissioners, however, want to further investigate price optimization first. The challenge is that there are several definitions of price optimization. they really should shop around on a regular basis. The goal of my article is to present facts and opinions about price optimization while avoiding political pitfalls. I can assure you it was no easy task. I do thank the Casualty Actuarial Society (CAS), which represents the actuaries who price auto insurance, for giving me the opportunity to tackle this controversial subject. I have had the opportunity to work with countless CAS actuaries in my career and their personal and professional standards should be emulated by every profession. While this is all fine and good, my mother is going to ask me what I think of price optimization. Here’s what I’ll tell her. There is nothing wrong with insurers making a profit. It helps ensure that insurance is available to consumers. And since insurance is such a highly regulated industry, insurers really can’t gouge customers as some would suggest. At the same time, for consumers to really get the best price for insurance, they really should shop around on a regular basis. But hey, even Flo would tell you that!